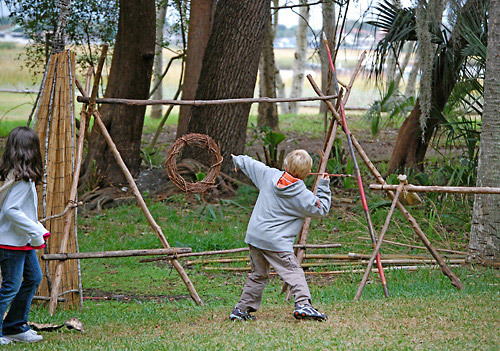 Located in historic St. Augustine, the Fountain of Youth Archaeological Park offers a 15-acre historical site of where St. Augustine came to be in the year 1565. 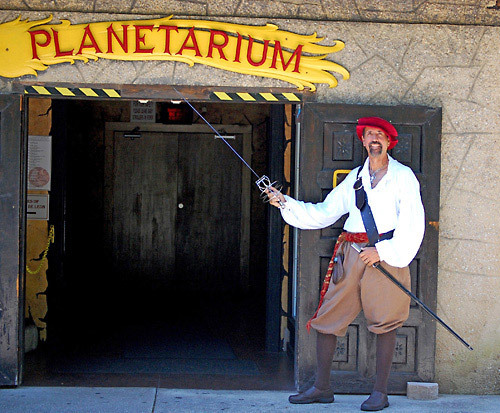 Guests can enjoy seeing stars from the park’s planetarium, exploring the native Timucua village, watching an old cannon fire, visit the two-story Discovery Globe, take a walk through the waterfront outdoor park, and much more. 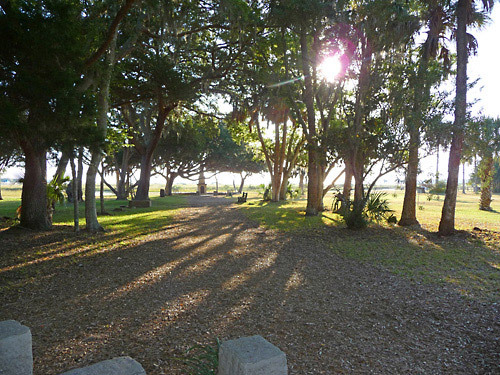 The Fountain of Youth Archaeological Park is a 15-acre waterfront, Historical Site where St. Augustine, Florida began in 1565. We commemorate the founding of Florida in 1513 by Spanish Explorer Ponce de Leon and his search for the Legendary Fountain of Youth. 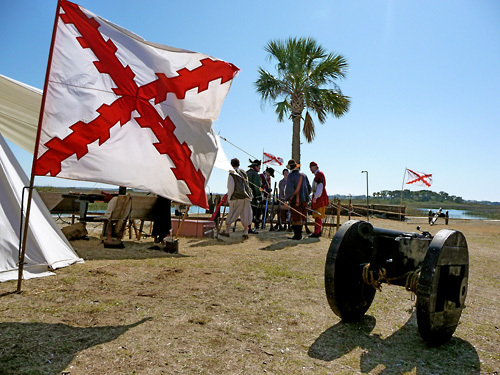 We celebrate the Birthplace of Our Nation in 1565 and we invite you to explore it all! This is the location where Spanish Explorer Pedro Menendez de Aviles, in 1565, established the first and oldest continuous European Settlement in the United States of America. • You can even drink from the legendary waters and see if your visit grants you the secret to eternal youth. We welcome families and couples, corporate retreats and wedding parties. We have the area to handle groups and are prepared to make you, the visitor, feel as if you are an integral part of our beautiful park. If you are planning a family reunion or other gathering, consider using this inviting setting to make the special day a success. This is where Florida and America's History all began! 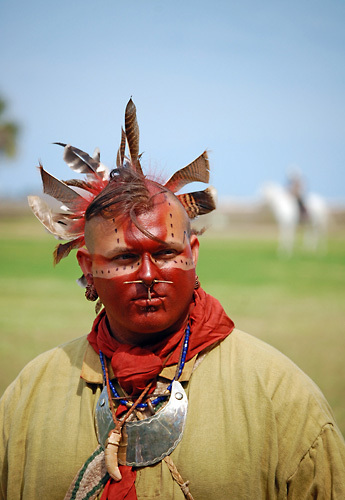 The Timucua Indian Village of Seloy existed here for almost 4,000 years before the arrival of the Spanish in 1513, and with Ponce de Leon's claim of possession for the Spanish King in 1513, "La Florida" was born. No other Spanish colonies that followed were successful...until the arrival of Pedro Menendez de Aviles on September 8, 1565. 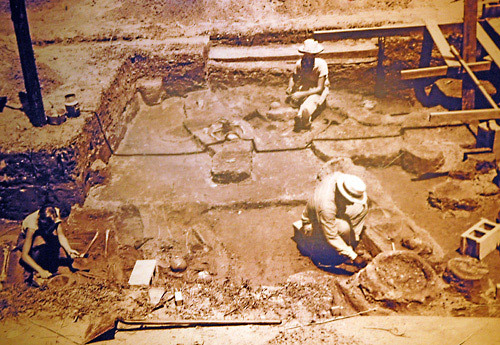 Over the last 100 years, many thousands of guests have visited The Fountain of Youth Archaeological Park in order to sip the world famous waters and hear the history behind its legendary benefits. See the stars in our Planetarium. 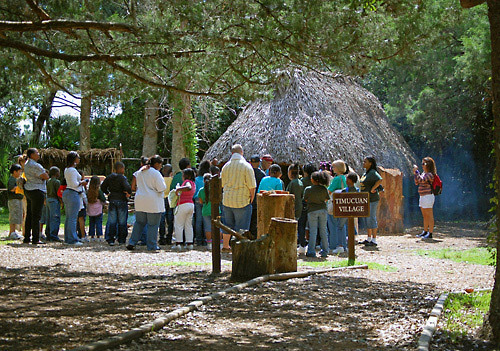 Visit our Native Timucua Village. 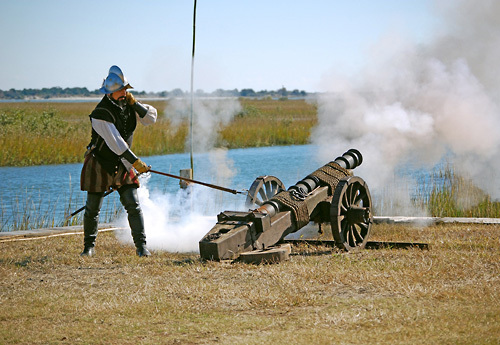 Watch a Cannon firing. Marvel at Spanish Exploration on our two-story high Discovery Globe. 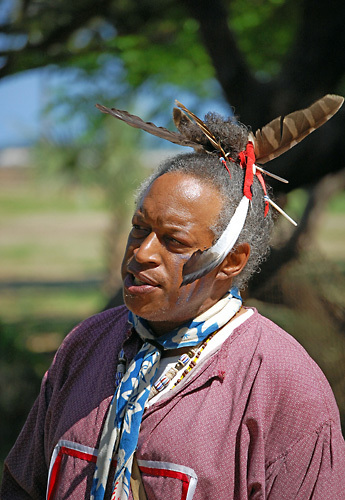 Learn about the Birthplace of European America. Our ample parking is free and we are a pet-friendly attraction. 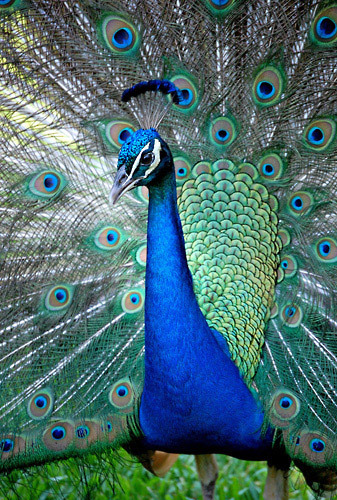 Don't forget to feed the peacocks and squirrels! See you soon. How long does it take to tour the Fountain of Youth? It depends, to get the full effect and see all the exhibits, you will need a minimum of 2.5 hours. Can we arrive after 4:00 pm? Guests should plan to be at the park by no later than 4:00 pm as the park closes at 6:00 pm, with last tickets sold at 5:00 pm.